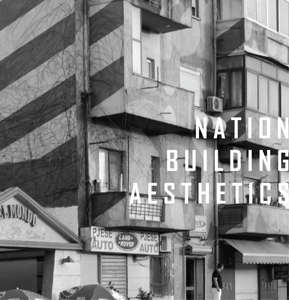 Nation Building Aesthetics explores the recent urban and architectural history of Tirana, an emerging world capital with unique developmental logics. Drawing on first-hand experience of the urban environment and personal interviews with its residents and advocates, the project documents the unique potential and paradox of a city absorbed in fhe fabrication of image. Detailing the unique logic of the city’s mayor, Edi Rama, as a radical form of superficial urbanism, the text and graphic analysis outlines the incredible resourcefulness and ingenuity of a novel model of low-investment, high-return urban policy, and the resulting dramatic reversal of the psychological and social constructs of the city’s inhabitants. Speculating on methods of extrapolating these logics to increasing scales of local efficacy and global interaction, the project proposes new futures for Albania, a nation uniquely positioned to redefine itself on the world stage. The project was supported in part by a William Kinne Travel Fellowship from Columbia University Graduate School of Architecture Planning and Preservation in 2006. A book documenting the project is available from the researchers. Proposals from the study were published in Volume Magazine, Issue No. 14 on ‘Unsolicited Architecture’.